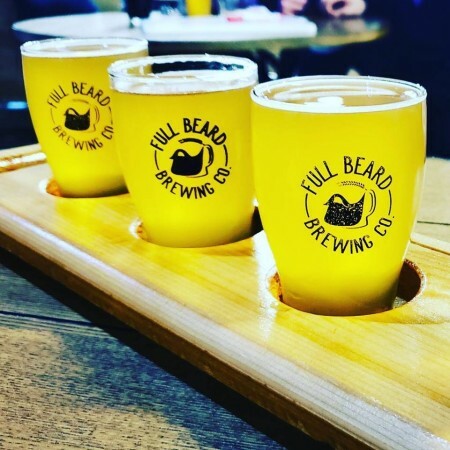 TIMMINS, ON – Full Beard Brewing has announced plans to establish a second location in Ottawa, and will soon be launching a crowdfunding initiative to finance the project. The campaign will be launching soon on the FrontFundr platform, and will be looking for investments from $750 to $5000, with a goal to raise $1.5 million. As noted on the fundraising page, production at the original Full Beard facility in Timmins is maxed out, and the company has chosen Ottawa’s Barrhaven neighbourhood as a suitable area for a second brewery which will “resemble the atmosphere of the Timmins location” but with three times the production capacity. Initial plans include a tasting room with a 60-80 person capacity, as well as an events space that can accommodate groups of up to 160. While Barrhaven is situated more than 700 km southeast of Timmins, one of the co-founders and member of the Board of Directors for Full Beard is intending to relocate to Ottawa to manage the new location, and the current brewers will train the Ottawa hires to ensure recipe consistency between the two facilities. For more details and to register investment interest, see the FrontFundr campaign page.